Rabbi at Rozniatow and afterward at Styria; died in 1813. He was the author of the following works: "Ḳeẓot ha-Ḥoshen," a casuistic commentary in two volumes on the Ḥoshen Mishpaṭ of Joseph Caro's Shulḥan 'Aruk, published in 1788 and later; "Abne Millu'im," a similar commentary in two volumes on the Eben ha-'Ezer of the same work (Lemberg, 1815, and Zolkiev, 1825); and "Sheb Shema'tata," novellæ on the Talmud (Lemberg, 1804). 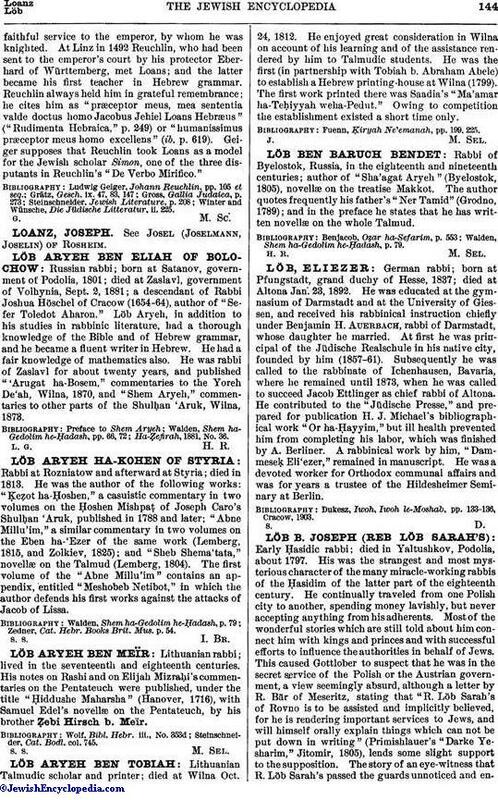 The first volume of the "Abne Millu'im" contains an appendix, entitled "Meshobeb Netibot," in which the author defends his first works against the attacks of Jacob of Lissa. Zedner, Cat. Hebr. Books Brit. Mus. p. 54.